The end of the school year is the perfect time to thank the teachers that have made a positive difference in the yours or your children’s lives! Sometimes it can be tricky to come up with an innovative idea that you know your child’s teacher will actually want to recieve, so we’ve come up with the following list of projects from the Hobbycraft blog and elsewhere online to get you started. Most of these projects will allow your child to join in with the creating – so roll up your sleeves and get stuck in! The following projects all feature plants, gardening, and growth in some capacity. There are some really lovely ideas here that will help you to thank your teacher in a clever way. 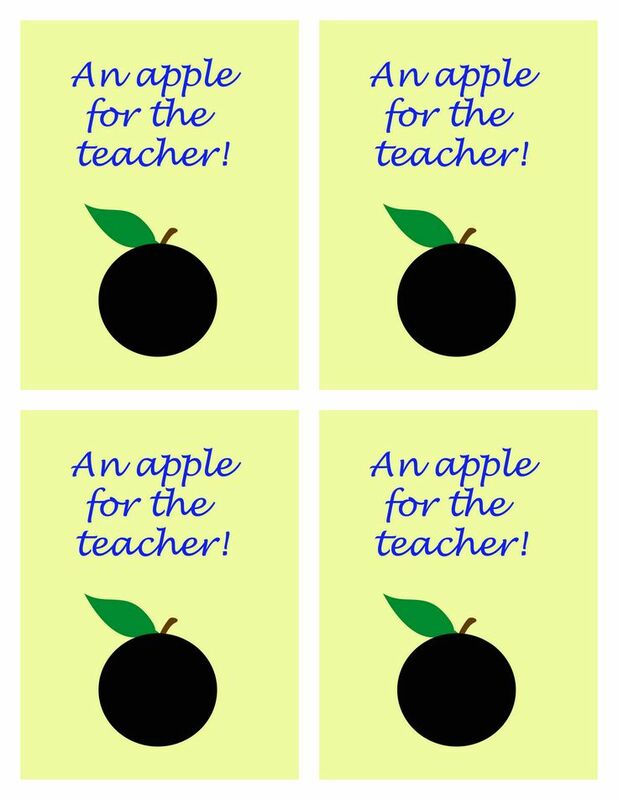 This how to make an apple gift set offers an amusing twist on the traditional ‘apple for teacher’ idea and is a fun project that older children can do by themselves or, for the little ones, with a spot of help from parents! Thank your teacher by creating a mosaic using beads, mosaic pieces, and shells. Write your own message using alphabet stamps! Paint plant pots and fill with goodies or plants, creating papercraft thank you tags and gluing them to sticks to include your thanks in a well thought out manner! Click the link above to see a step by step guide of this project. This gift basket is perfect for a teacher that loves to spend their free time in the garden – just grab a crate and fill with goodies! A gift that is a little bit different but nonetheless touching this make is perfect for that green-thumb teacher in your life! Leave a little message on the top, or stick to puns like Happy Hour Projects! Why not decorate the pot that houses the seeds to add an extra personal touch? As a way to show your thanks why not make this adorable ruler planter by Melissa Caughey? Affordable and creative this is the perfect gift for your garden-loving teacher! When one gift just isn’t enough, you need a container to help hold everything! The following projects get creative with containers, re-purposing jars, crates, and hampers in a way that makes the vessel part of the gift, too. These teacher baskets are the perfect gift for the beginning of the new school year – giving the teacher handy objects that they can store in their desk to help them along throughout the year, such as stamps, pens, hand screams and other treats! This momogrammed mason jar uses vinyl to decorate in an illustrative way! Use the Cricut machine to create this, and add a gift tag and ribbon in order to complete the gift. We have a huge selection of bakes goodies on the Hobbycraft blog that would be entirely fitting for a thank you teacher gift. Have a browse of the selected projects below, or take a look at the Baking Category for more inspiration! These adorable edible makes are sure to show your appreciation and thanks! Being super easy this is a bake that the kids can enjoy! Let them get mucky and stuck in with the gifts they’ll give to that special teacher now that the year is nearly over! Be sure to use an Edible Food Pen and Candy Eyes to make the decorating process that little bit easier! These daisy biscuits are perfectly bite size! Make your own by following the above linked recipe on the Hobbycraft blog, and see what kind of fantastical bouquets you can make. All the better for being edible! These butterfly cookies look a treat, and we bet are so delicious! Whip up a batch for your favourite teacher by following the recipe and instructions on the above linked blog post. Use chalk board spray paint available in store at Hobbycraft to coat the bottom of jars in a chalkboard layer. Once dry, decorate and fill with helpful classroom items. Attach a stick of chalk by tying with string in order to add the name of your teacher to the glass. Create an apple jar by using acrylic paints in the correct colourway. If you know that your teacher has a favourite fruit, why not try to recreate this in jar form? Follow the tutorial linked above to find out how this apple jar has been made. There’s nothing more special than a handmade gift, so put your crafting skills to good use and create something functional that any teacher would be truly grateful to recieve. We love this simple but effective sewing idea that allows the creation of a tote bag in a very fitting theme! Follow the above linked tutorial to find out how to make your own. Perfect for a last minute gift, this super quick make merely requires cutting and sticking, so is also perfect for the little ones to get involved with too! Simple, yet adorable, this Thank You token is sure to leave a lasting impression and is the perfect gift to show your thanks! Looking for a quick craft that is completely child-friendly? This Apple Tote Bag by muminthemadhouse is a sure fix! This simple make only requires a few craft essential items and is sure to impress! Simple and fun this craft is a great way of getting the children involved in the present-making for their teacher. The tutorial for this craft is a little complicated but a Pyrography Wood Burning Tool Set would make this make simpler! Completely customisable this craft is a fun and personal way to show your appreciation to your favourite teacher! Don’t be limited to just a blackboard eraser, either! There are loads of wooden shapes to choose from: a wooden square wall plaque, a star wood plaque, a wooden canvas panel; the possibilities are endless! These knitted apples are completely adorable and the perfect gift for an end-of-term gift to a special teacher! The pattern is free online here. This make is sure to come in handy in the classroom and is a perfect gift for that teacher you want to thank! The apple accent is an adorable embellishment and super easy to make. This wreath by pumpkin and princess is impressive and adorable! Only needing a Wreath, blackboard, hot glue gun, crayons and embellishments this complicated-looking craft is actually super easy! Sure to impress this is the perfect thank you gift for the end of term! A super easy make that is simple with it’s creativity, Angie Holden’s make is affordable and adorable! Only needing a red Eos lip balm and the free printable here you can have this craft done in minutes! This creative craft is a fun way to give gift cards as a present to that teacher you want to thank! Keep it personalised yet simple with this easy make, perfect for those teachers that love to shop! With school supplies running low at the end of term this is the perfect gift for any teacher! You only need felt, a glue gun and decorative ribbon to make this craft! Customise to your heart’s content so that it is extra personal.